It's no secret human biology is complex. But a team of researchers at the Ludwig Institute for Cancer Research recently added yet another head-scratcher to the list. 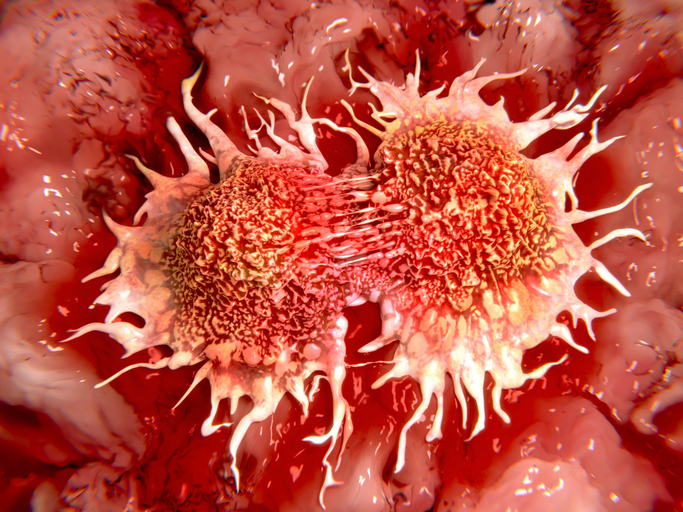 The researchers noted that when the function of one tumor supressor gene was lost a tumor will grow faster, but if the function of both tumor suppressor genes is lost the result is slower tumor growth. In the new report, the team detail their observations of the tumor suppressor genes PTEN (phosphatase and tensin homolog) and DAXX (death domain associated protein), along with the H3.3 histone protein, and how they participate in interactions that may epigenetically enhance or inhibit tumor growth. Altogether, the interactions constitute an example of a phenomenon called a synthetic growth defect. “It was an unexpected result because these are two verified tumor suppressor genes,” said Frank Furnari, Ph.D., a member of Ludwig Institute for Cancer Research and the senior author of a new paper about the newly discovered PTEN–DAXX interaction. This paper (“PTEN Regulates Glioblastoma Oncogenesis through Chromatin-Associated Complexes of DAXX and Histone H3.3”) appeared May 12 in the journal Nature Communications. The loss of the tumor suppressor gene PTEN has been linked to tumor growth and chemotherapy resistance in the almost invariably lethal brain cancer glioblastoma multiforme (GBM). Now, Ludwig researchers have shown that one way to override the growth-promoting effects of PTEN deletion is, surprisingly, to inhibit DAXX, a separate tumor suppressor gene. The finding could lead to new therapies for treating a common subtype of GBM and possibly other forms of cancer. In the current study, Furnari and his colleagues detail a previously unknown physical interaction between PTEN and DAXX. The latter is a so-called chaperone protein that helps guide the attachment of the protein H3.3 to compact looping fibers of DNA and its protein scaffolding, which are collectively called chromatin. H3.3 is a variant of the histone protein H3. Most histone proteins are involved in helping package DNA into structures small enough to fit in the cell nucleus, but H3.3 appears to play a gene regulatory role instead. H3.3 has been found attached to chromatin sections containing tumor growth-promoting genes, or oncogenes, suggesting it helps suppress their activity. Essentially, in the presence of PTEN, oncogene transcription is repressed by a PTEN–DAXX–H3.3 chromatin complex in association with other chromatin proteins. Upon loss of PTEN, however, oncogene transcription is activated. Yet DAXX inhibition in the context of PTEN deficiency restores H3.3 on chromatin and hence represses oncogene transcription. Thus, the discovery that PTEN interacts with DAXX indicates it can regulate oncogene expression in cells by affecting H3.3–chromatin binding. The work by the Ludwig scientists supports this hypothesis. “What we found was that PTEN suppresses oncogene expression by increasing the deposition of DAXX and H3.3 onto chromatin,” explained Dr. Furnari.